A month after ASCE’s 2017 Infrastructure Report Card graded the country’s infrastructure with a cumulative D-plus, the New Hampshire Section released its state Report Card, April 5. The results were not much better – an overall C-minus. Of the 12 infrastructure categories assessed, aviation, energy, and solid waste scored best, with C-plus marks. 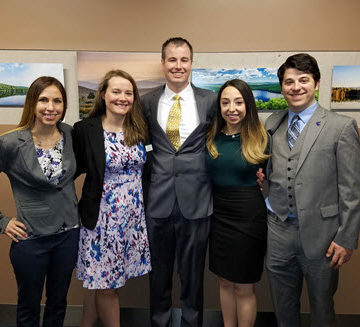 New Hampshire Section President Thalia Valkanos, EIT, A.M.ASCE, recently took the case for infrastructure investment to Washington, DC, as part of ASCE’s annual Legislative Fly-In. The New Hampshire Report Card reinforces that message in her home state. Read New Hampshire’s new Report Card. The Northwest Arkansas Branch recently hosted its ninth annual Day of Training in Fayetteville, the largest in Branch history. 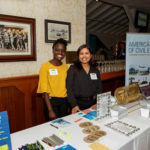 The professional development event featured presentations by government agencies, engineering suppliers, and local officials, as well as an exhibit hall. 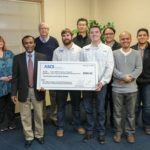 Proceeds from the event funded two scholarships for University of Arkansas civil engineering students and a sponsorship for the upcoming ASCE Mid-Continent Student Competition. 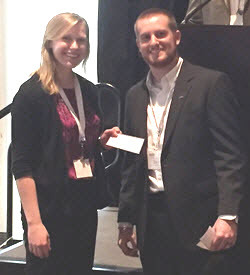 The Day of Training hosted over 150 attendees this year, making the event one of Arkansas’ largest engineering conferences. The ASCE Structural Engineering Institute Mohawk-Hudson Chapter recently hosted its annual Model Bridge Competition in Albany, NY. 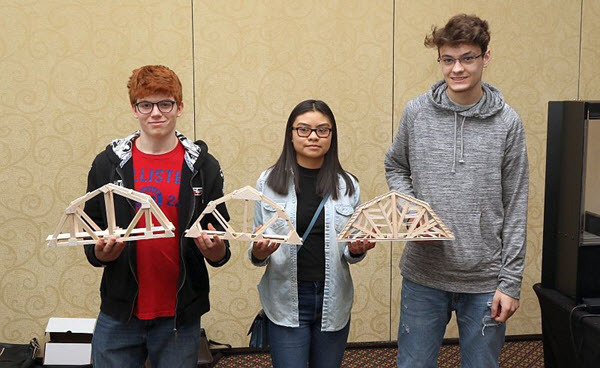 Participating teams and individuals completed and submitted 65 bridges made of balsa wood and wood glue, following specific geometric parameters. The judging panel assessed the bridges based on aesthetics, largest breaking load, and highest efficiency (strength-to-weight ratio). Ishan Ahuja and Benjamin Marino of Shaker High School in Latham won first place for aesthetics. Rensselaer students swept the other awards, led by Isaac Brightbill, Francisco Concepcion, Zo Ko, and Zin Wai. 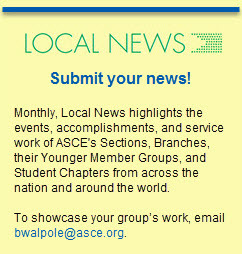 Learn more about ASCE SEI local chapters. The Lebanon Section recently hosted its annual seminar and dinner at the LeRoyal Hotel in Dbaye, with more than 200 people in attendance. Dr. Hisham Joma, chief development officer at Jeddah Economic City, gave a presentation on the Kingdom Tower project. The Section awarded him a certificate of appreciation for his contributions. During the dinner, Prof. Georges Ayoub of American University of Beirut and Dr. Zuheir Alami, co-founder and chairman of the board of the international consultancy firm Khatib and Alami, were presented lifetime achievement awards. 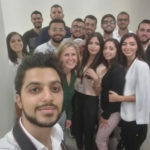 In attendance as special guests were Khaled Chehab, president of the Federation of Lebanese Engineers, and Marius Bainy, president of the Order of Engineers in Tripoli. Chehab, who presented Lebanon Section President Makram Tewfic Suidan with the FLE Distinguished Engineer Award. 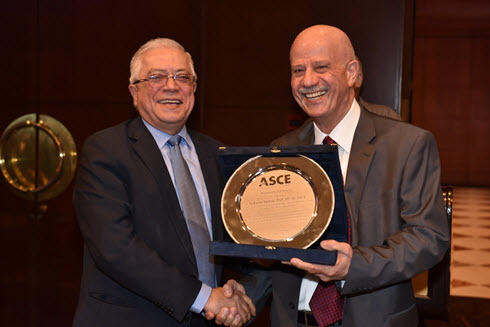 Last year, ASCE signed an agreement of cooperation with FLE to promote cooperation and share common activities. Region 10 Governors and UAE Section leadership gather at the Region 10 Assembly and Symposium in Abu Dhabi. The United Arab Emirates Section recently hosted the 2017 Region 10 Assembly Meeting along with a Section Symposium on Global Sustainable Infrastructure. 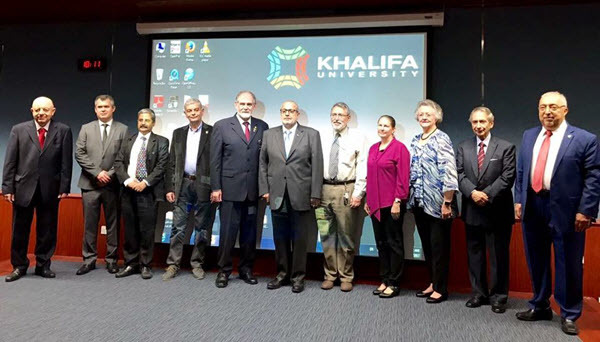 The meetings took place at Khalifa University in Abu Dhabi, and included a special screening of Dream Big. 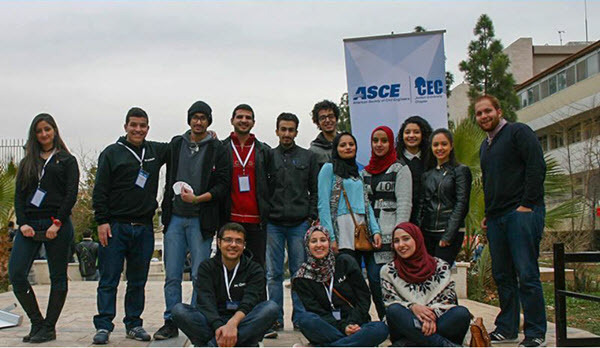 Attendees included students from all four of ASCE’s UAE Student Chapters and UAE Section members. ASCE leaders from the Egypt, Hellenic, India, Iraq, Lebanon, and UAE sections, and the Region 10 Board of Governors took part in the assembly. The following day, the Region 10 Board provided leadership training for attending officers. 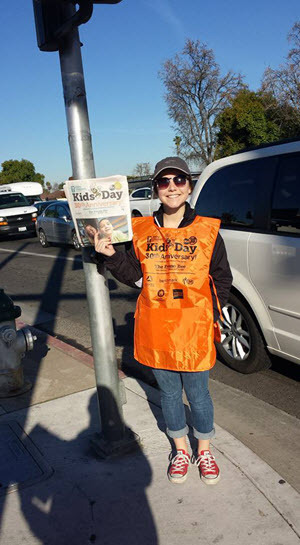 Members of the Fresno State University Student Chapter recently volunteered to sell newspapers to raise $600 for Valley Children’s Hospital in nearby Madera. Keep up with the Fresno State Chapter, including updates on concrete canoe and steel-bridge. 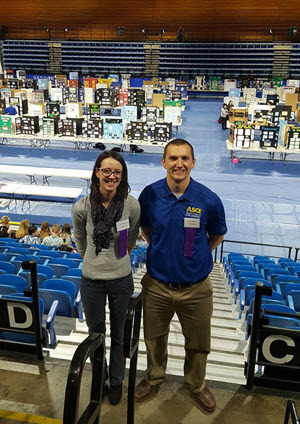 Two members of the South Dakota State Student Chapter recently volunteered their time to judge student projects at the Eastern South Dakota Science and Engineering Fair. Follow the South Dakota State Student Chapter. The University of Jordan Student Chapter celebrated 2017 Engineers Week with a wide variety of events. 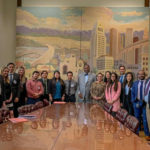 The program included a cinema day, outdoor gaming booths, a seminar titled How to Choose Your Graduation Project, and a debate about graduation projects – research vs. application. 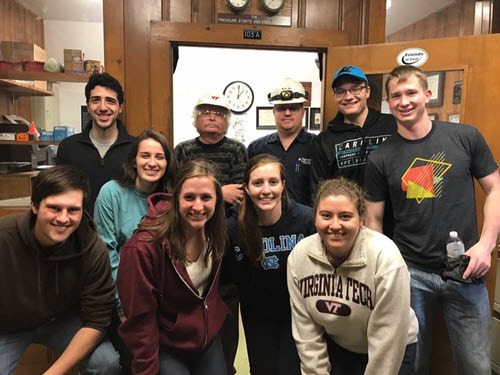 Members of the Virginia Tech Student Chapter recently took a tour of the university’s power plant – during their spring break.